Want the nation to buzz about you in 2012? Learn secrets from this Wasabi Publicity success story. 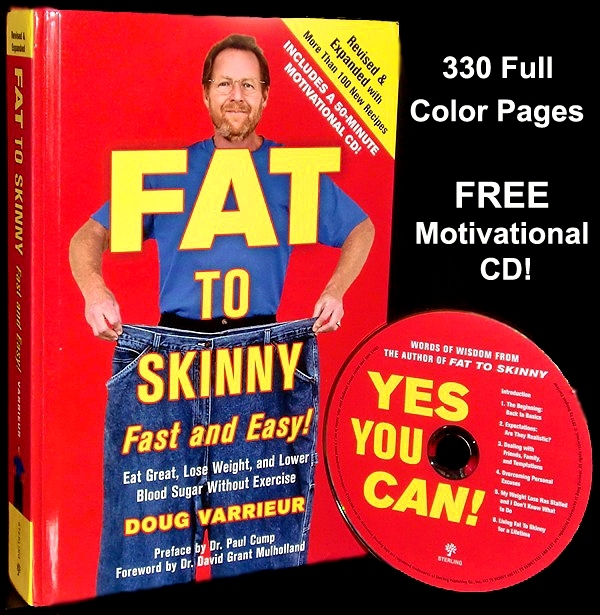 Yesterday, Doug Varrieur, low carb cook and author of the bestselling book, Fat to Skinny, was on the nationally syndicated television morning show, The Daily Buzz. How did we get him on this show that reaches 140+ markets around the country? Our publicity team scored this segment by pitching the producers at The Daily Buzz a weight loss segment with Doug and regular recipe blog entries for their new website, Body Checklist. See, when media people learn you can educate their audience on something, like weight loss, they book you. They’re not necessarily interested in your books and services (that would be called advertising), but they for sure are interested in your tips, techniques and success stories so you can help them inspire and educate their loyal viewers. Today, that includes their online social media fans in addition to impacting television peeps. So, if you want to get the ‘daily buzz’ for your own books, products, organization or services (literally or figuratively) be sure to contact your favorite media friends with ideas on how you can educate, entertain and get their audiences all-a-buzz, too. You are currently browsing the Michelle Tennant Nicholson blog archives for January, 2012.